The kids surprised us with a mystery lunch! A fun and healthy alternative to going out to eat. I took pictures while they cooked. The photos are from a doubled recipe. 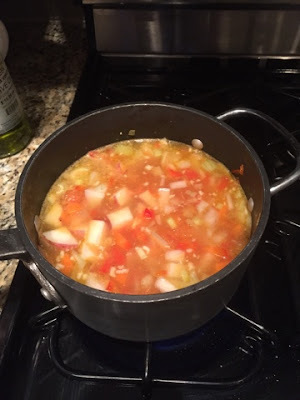 The write up is for a regular recipe of 4 servings. 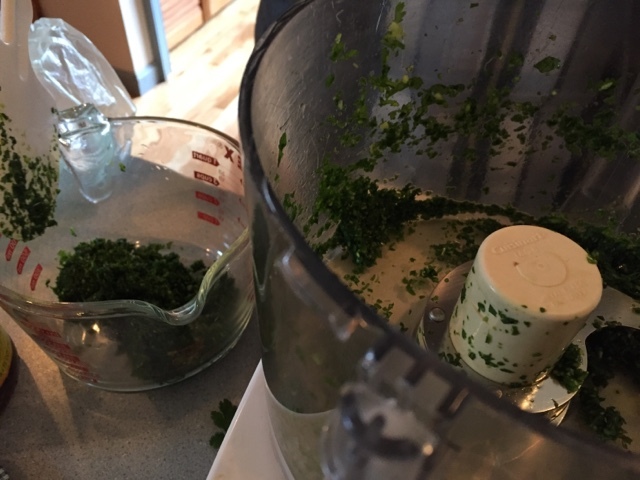 The parsley pesto sauce packs a lot of flavor and brings it all together, so it's a good recipe to serve to people who think tofu is boring. Rinse and cook rice according to package directions - about 18 minutes. 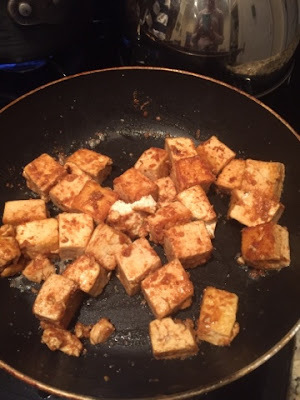 While rice is cooking, blot tofu dry with paper towel. Cut into 1/2 inch strips. 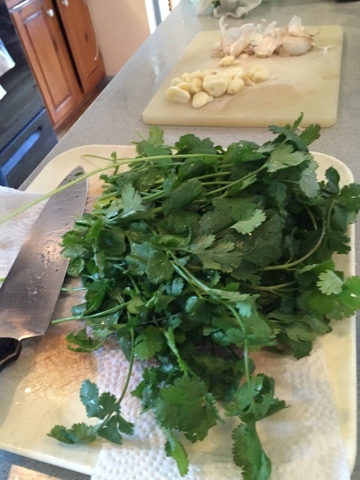 Rinse parsley and remove thick stems. Peel garlic. Pulse parsley, lemon juice, olive oil, and garlic in food processor to combine it into a sauce. Transfer mixture to bowl and add flax and sesame seeds and salt to taste. To assemble you may sprinkle sunflower seeds on the bed of rice, top with tofu with sauce drizzled on top. 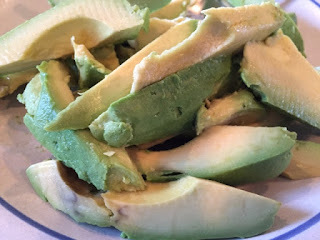 Add avocado on side. This is a recreated version with all the seeds mixed into the sauce. Both are delicious. Enjoy! 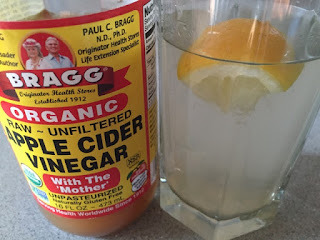 Raw, unfiltered organic apple cider vinegar - 1 T.
If you aren't used to eating a plant-based diet, you may have concerns with gas. I'd like to offer a couple suggestions. Your body does adapt, but there are a few things you might also try. 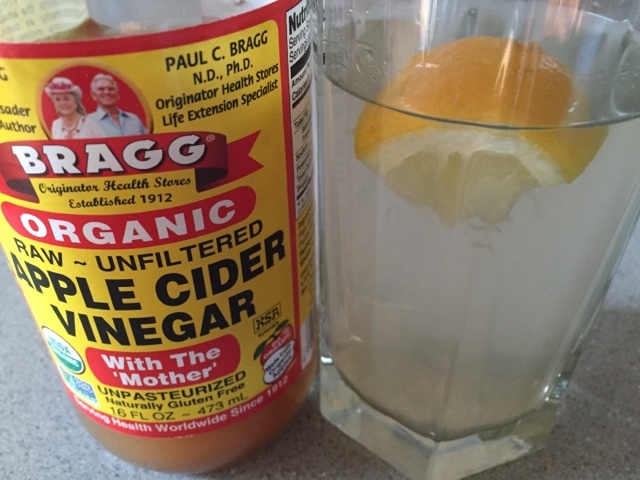 Before breakfast, I have a refreshing glass of water with lemon and about a tablespoon of apple cider vinegar. It should be raw, organic, and unfiltered. If it has a blob in it that is good. Just shake it before you use it. It will help your body's enzymes with digestion and also boost your immune system. You can have this a couple times a day about 15 minutes before meals. I just have it before breakfast - an added benefit is that I start my day hydrated. I like the tanginess of the drink, but if it's too sour for you, adding honey is an option. 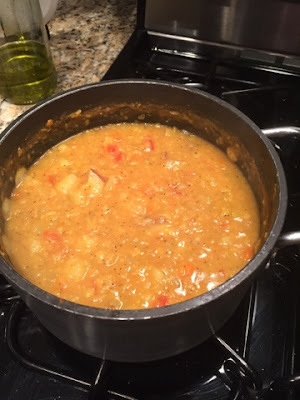 Another way to combat gas in eating beans is to cook them yourself. The key is rinsing the soaking water before you cook. Tip: I keep lemon wedges on hand for the week. 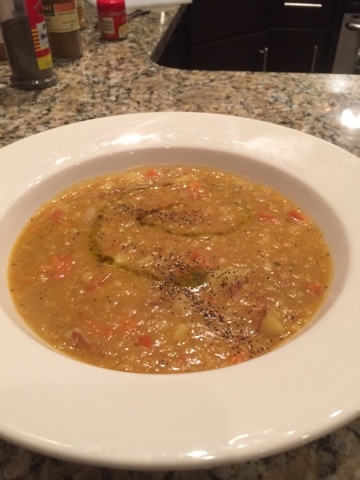 This is one of my all-time favorite recipes, and is always a big hit. It only has a few essential ingredients but is packed with flavor and texture, and can easily be dressed up with extra toppings if desired. 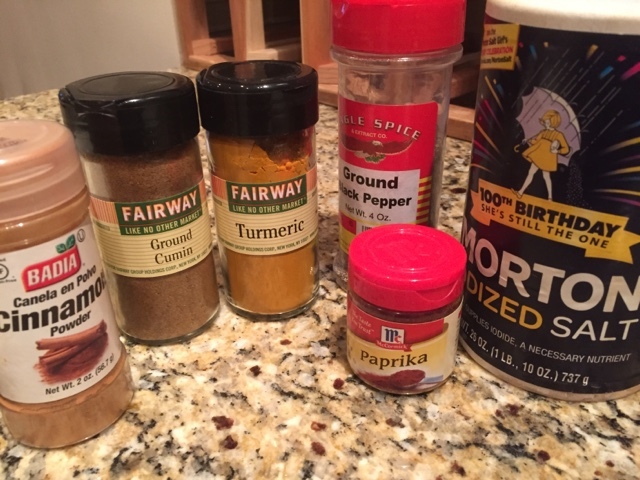 * optional - if you are missing one or more of these ingredients, it's not the end of the world! 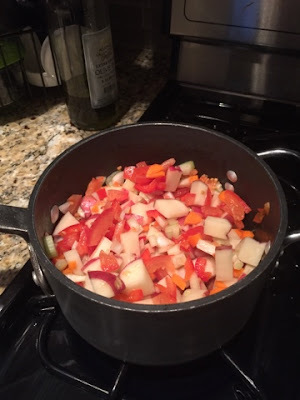 Heat up your regular oil in the pan on medium heat. If you are using sesame oil, mix a little of that in as well. 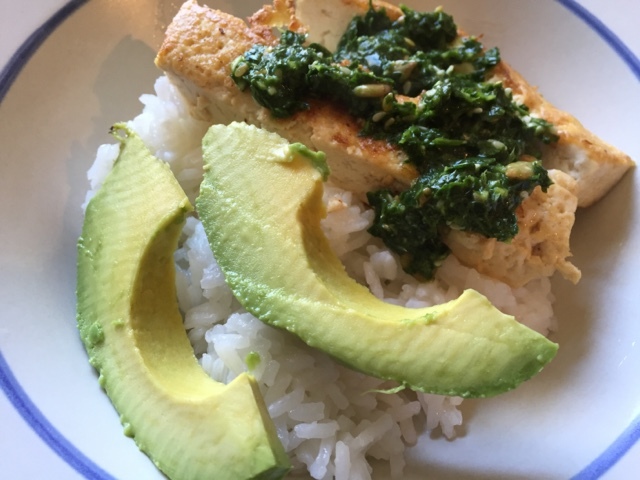 (Sesame oil has a very strong flavor, so a little bit goes a long way!) 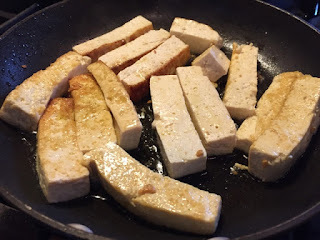 Add the tofu, making sure to stir frequently so all sides get cooked. Meanwhile, cook the noodles according to the package instructions. 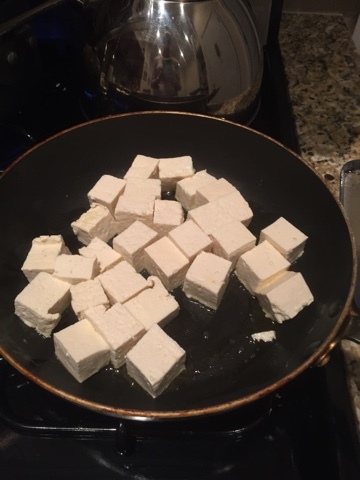 Make the sauce while the tofu is cooking. 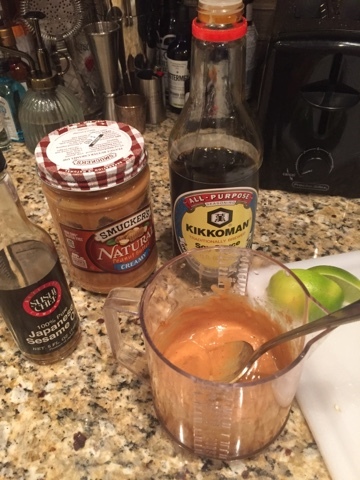 In a small bowl stir together peanut butter and soy sauce. Keep adding soy sauce and mixing until you have a thick liquid consistency. Add a little bit of sesame oil if using. 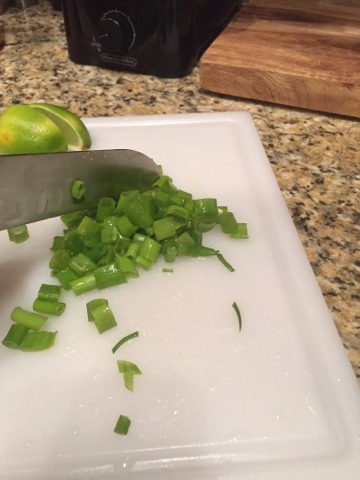 Squeeze half of the lime into the sauce, mix well. Adjust to taste. 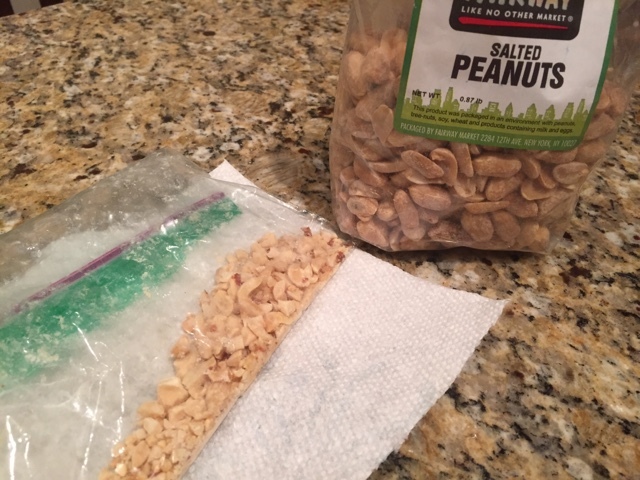 If desired, put the peanuts in a ziploc bag and crush with any hard object. 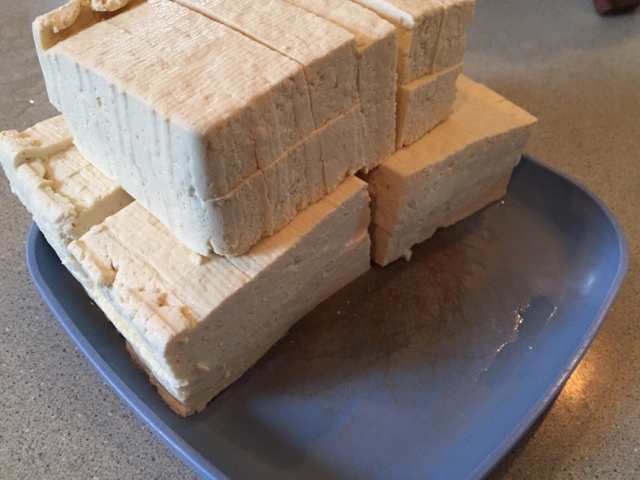 Once the tofu has started to brown, pour HALF of the peanut sauce on top, and continue cooking. 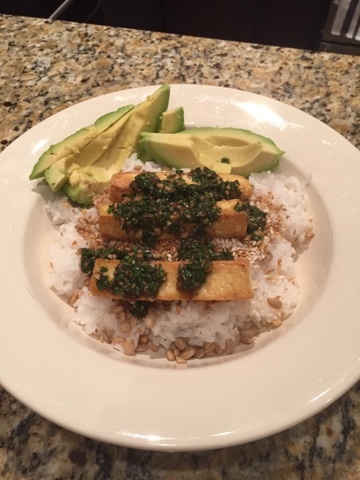 Add the sesame seeds and crushed peanuts at any time. Cook for a few minutes, making sure to stir so that the sauce covers all sides. When the noodles are done, rinse them under cold water, drain well, and put in a bowl. Pour the remaining half of the peanut sauce on top and toss to coat the noodles evenly. 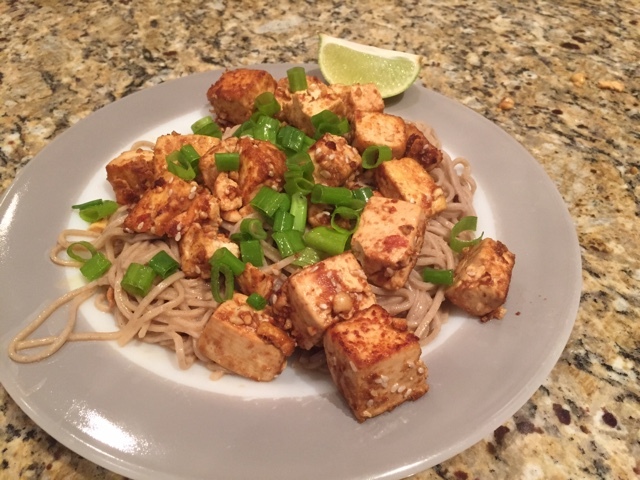 Serve the hot tofu on top of the cold noodles, top with scallions and serve with the remaining lime wedges. 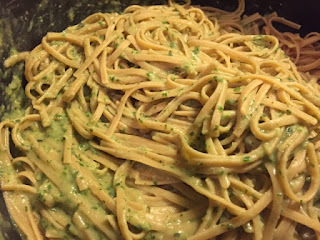 We were just hit with an April snowstorm, so this was the absolute perfect comfort meal I whipped up in the 7 minutes it took to cook the pasta. I already had cooked cannellini beans on hand, but canned beans are fine too. 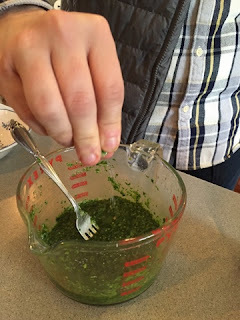 This is a low fat but equally delicious version of regular pesto, and it will become a staple in the summer with a good supply of fresh basil. Note that the combination of the cannellini beans and the whole grain pasta makes this dish a complete protein. 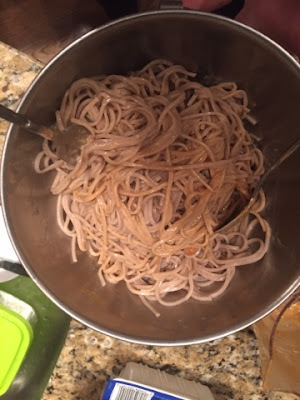 Cook linguine according to directions on package. Scoop up about 1/2 c. cooking water and set aside. 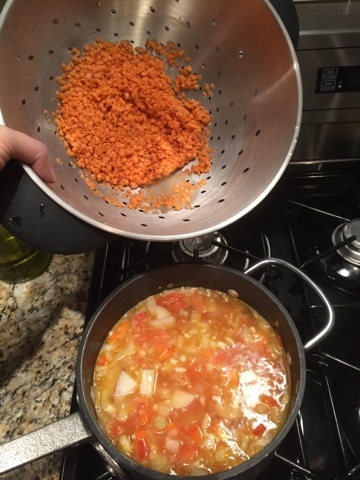 When pasta is cooked, drain and return to pot. Toss with sauce and serve immediately.